The UPGR8 Fuel Pressure Regulator Adapter is manufactured from CNC T6061aluminum. 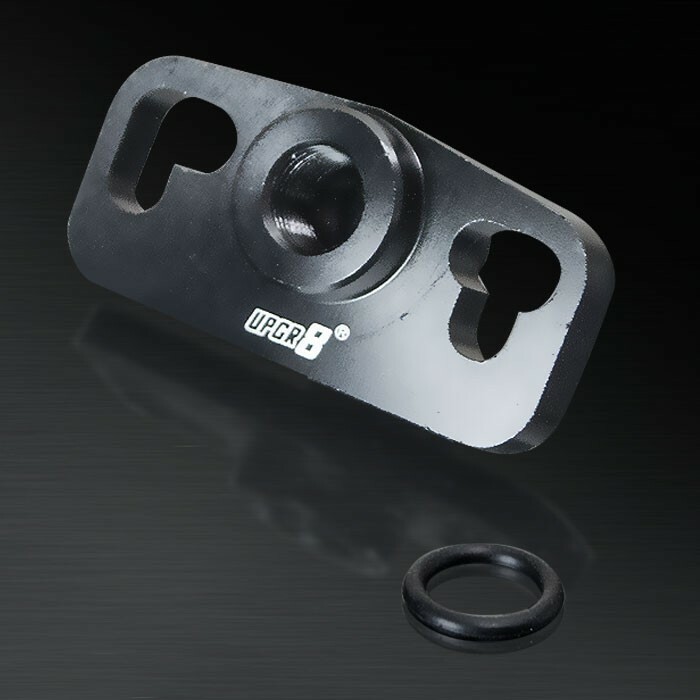 It is direct bolt on the stock fuel rail,and it is good for custom fuel setup. - 96-03 Mitsubishi Galant/Legnum VR-R EC5W 6A13 Engine. - 92-93 Mitsubishi Lancer Evolution EVO I CD9A 4G63 Engine. - 96-97 Mitsubishi Lancer Evolution EVO IV CN9A 4G63 Engine. - 98-01 Mitsubishi Lancer Evolution EVO V/EVO VI CP9A 4G63 Engine. - 03-07 Mitsubishi Lancer Evolution EVO VIII/EVO IX CT9A 4G63 Engine. - 90-99 Mitsubishi GTO/3000GT Z16A 6G72 Engine.